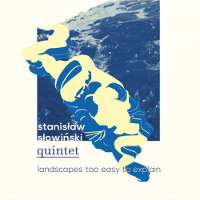 This is the debut album by a quintet led by Polish Jazz violinist/composer Stanisław Słowiński, which also includes trumpeter Zbigniew Szwajdych, pianist Katarzyna Pietrzko, bassist Justyn Małodobry and drummer Maksymilian Olszewski. Together they perform seven original compositions, all by the leader. The music is an excellent example of modern Polish Jazz, which although melody based and well within the mainstream convention, manages to maintain a very high level of compositions and performances. It is soaked with typical Polish melancholy and Slavic melodic motifs, and of course focuses on the violin as the leading instrument, and as a result one can hardly find a more spiritually "Polish Jazz" album than this one. The pairing of the violin and the trumpet as the two lead instruments proves to be extremely effective and harmonically attuned, in spite of its rarity. 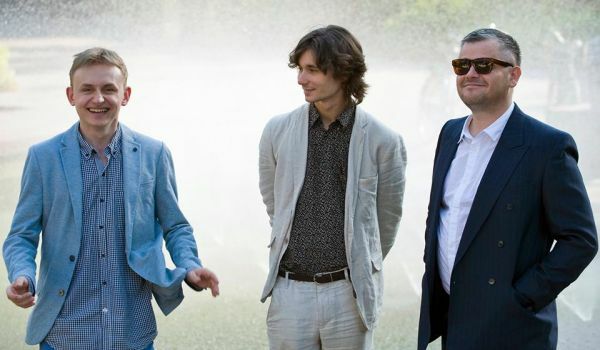 As usual with the new generation of the Polish Jazz musicians, Słowinski, despite his young age, has already an impressive list of accomplishments to his credit, which includes leading/membership in several projects, including as diverse directions as Improvised Music on one hand and Classical Music on the other. This album, which sits, as already mentioned, comfortably within the mainstream Jazz idiom, presents yet another facet of Słowinski's versatility and is primarily dedicated to presenting his compositions. But of course his performances on the violin are full of beautiful sensitivity and technical excellence. It is worth mentioning that Słowinski is yet another representative of the Polish Jazz Violin School, which enjoys an incredible renaissance in the last decade, and places Poland in the leading position as far as violin artistry is concerned in the Jazz field. He joins the ranks of many of his colleagues, who proudly continue the traditional role of the violin as one of the most expressive instruments available to mankind. The rest of the quintet members are all of course excellent performers as well. 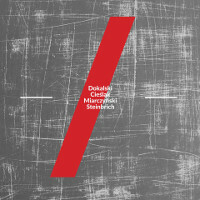 Szwajdych delivers melodic accompaniment and excellent solo parts, Pietrzko lays out the harmonic layer upon which the tunes progress and fills the gaps with her delicate but solid statements, and hopefully will play more solo parts on future recordings. The rhythm sections provides admirable and flawless support to the soloists, and plays always at the right levels to make the music a whole bigger that the sum of its parts. This is definitely a very impressive debut, which comes with a firm recommendation to follow these wonderful young people in their future endeavors. Well done indeed! Trio Andrzeja Jagodzińskiego to jeden z zespołów, od których zaczynałem swoją przygodę z jazzem. Wystarczy wspomnieć klasyczne już dziś interpretacje chopinowskie czy płyty z Giovannim Mirabassim. Dlatego cały czas pilnie śledzę, co nowego to utytułowane trio serwuje swoim miłośnikom. W tym roku mieliśmy już okazję poznać zaskakującą płytę z klasyką polskiej piosenki, nagraną wspólnie z Grażyną Auguścik. Koniec roku przyniósł kolejną niespodziankę w postaci albumu "Opowieści wigilijne". W samym środku lata tego roku Andrzej Jagodziński, Czesław Bartkowski i Adam Cegielski nagrali dziesięć klasycznych polskich kolęd. Przy tej zapowiedzi niektórzy poczuć mogą uczucie rozczarowania. Repertuar to bowiem oklepany, a w dodatku taki, na którym potknął się już niejeden, nawet wysokiej klasy wykonawca. Otóż nic bardziej mylnego. Trio Jagodzińskiego przedstawiło bowiem słuchaczom coś wyjątkowego. Proszę nie oczekiwać "odplumkanych" kolęd, które pośpiewać będzie można z wujkiem i ciocią pod jazzujący podkładzik. "Opowieści wigilijne" to solidna jazzowa płyta, na której usłyszymy całkiem nieoczekiwane interpretacje niezwykle popularnych utworów. Interpretacje mistrzowskie, choć często poruszające się na dalekich obrzeżach granych tematów. Niezadowoleni będą jedynie zwolennicy konserwatywnego sposobu grania kolęd. Wszyscy poszukujący oryginalnej, pięknej muzyki będą zachwyceni. Perkusyjne popisy w "Z narodzenia Pana", fantastyczne i niezwykłe solo Jagodzińskiego w "Pójdźmy wszyscy do stajenki" czy rewelacyjnie nakreślony przez bas początek "Lulajże Jezuniu" są tego absolutnym potwierdzeniem. While it might seem that there is a production line for outfits hailing from Scandinavia, Mount Meander demonstrates that the output is far from standardised. Comprising two Germans in: pianist Lucas Leidinger and drummer Thomas Sauerborn, along with the Copenhagen-based pair of Latvian saxophonist Karlis Auzins and Polish bassist Tomo Jacobson, the collective quartet shares a common language in spite of their diverse origins. Although all relatively young, their credits already encompass John Tchicai, Lotte Anker, Mat Maneri and Frank Gratkowski. That gives an idea of their reach during a spontaneously birthed program of nine pieces which nonetheless fits well within the modern mainstream. All show themselves to be proficient improvisers. Saxophonist Auzins displays a folky lyricism, often hewing close to tonal centers, although that's leavened by his muffled tones and sudden yodelling blurts on the choppy "Motoric Animal". On piano Leidinger uses preparations to emphasise the percussive nature of the instrument, particularly evident on "Politeness Is God". Elsewhere his probing lines blur the distinction between comping and counterpoint. Drummer Sauerborn proves adept at minimalist tappy dialogue and blends well with the spare but inventive Jacobson on bass, notably on their propulsive introduction to the spiky "Swung". "Sunsail", which constitutes the first three tracks, forms a continuous performance which goes beyond the Coltrane echoes of the title to also touch on Ornette Coleman (Auzins sounds as if he is paraphrasing "Lonely Woman" during "Part 1") and Keith Jarrett (occasioned by a stomping piano vamp on "Part 3"). Unhurried conversational interchange dominates the determinedly egalitarian session, nowhere more so than during the introverted pastoral "A Bird In The Hand...". They range widely, ending the album with the doomy drones of "Bow" and while such breadth means there is no danger of becoming typecast, hopefully there will be some more in depth explorations too in the future. 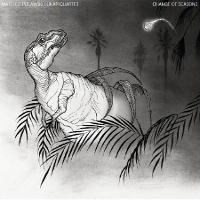 This is the second album by Polish (resident in Amsterdam) guitarist/composer Mateusz Puławski and his Lunar Quartet, which also includes Israeli saxophonist Itai Weissman, bassist Hendrik Mueller and Hungarian drummer Aron Nyiro. Saxophonist Fernando Sanchez plays on three tracks, vocalist Esther Van Hees guests on two and trumpeter Evgenii Bondarev guests on one track. 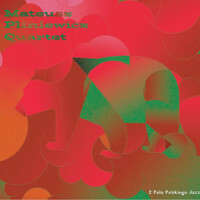 The album presents nine tracks, seven of which are original compositions by Puławski, one is a standard and one is by fellow Amsterdam saxophonist Emiel Wienholts. The music is mostly well within the modern Jazz mainstream, based on melodic themes, which sometimes get lost within the proceedings when the quartet members and guests start to play their respective solos. The tunes develop slowly and hesitantly and the harmonics are harsh, which makes listening to the music an effort. When the music moves into less constrained environment, everything gets better, but that happens only on a couple of tracks. Technically all the participants play well, with Puławski displaying an impressive fluency and proficiency as a player, but this is not translated effectively into creating notable music. The rhythm section and the saxophonist play straightforwardly and are obviously happy within that idiom, but offer no challenge or innovation as far as the music is concerned. Perhaps Puławski is still searching for his direction and personal voice, but at this stage he is not there yet. Nevertheless he seems to be consistently developing his career, and I can only wish him the best of luck. 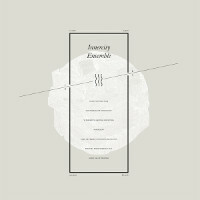 This is the third album by Polish Improvised Music group Innercity Ensemble, which consists of trumpeter Wojciech Jachna, guitarists Jakub Ziołek and Artur Maćkowiak, drummer Tomasz Popowski, percussionists Rafał Iwański, Rafał Kołacki and Radek Dziubek, who is in charge of electronics. In fact all the members play a plethora of different, mostly percussive, instruments on this album, which is characterized by this powerful percussive sound. Together they perform seven original compositions, which are not credited on the album's packaging and therefore are assumed to be co-composed/improvised by all seven members of the band. 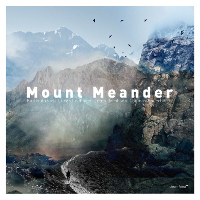 For improvised music this album is remarkably well organized, with clear melodic themes and steady, although polyrhythmic intense percussive background. The music is beyond simple classification, as it mixes many diverse genres, like Jazz, Ethno, Jungle, Ambient and many other flavors, but the important thing is of course that the result sounds beautifully coherent and highly fascinating. The music creates a trance-like atmosphere, which absorbs the listener completely, taking him away from reality into an imaginary world of its own. Jachna plays most of the solo parts and his heartwrenching performances are the absolute centerpiece of this album. In the course of just a few years Jachna established his position as one of the most creative Polish trumpeters on a scene exploding with talent and fiercely competitive. Music connoisseurs with a developed imagination could envisage this music as "Miles Davis in a jungle". But of course the rest of the band also contributes beautiful sound vistas and percussive backgrounds, which are rich in textures and intricate details. Although there is a certain element of repetition, the mantra-like parts are never long enough to become boring and are always ornamented by a multitude if minimalistic musical gems. Overall this is a beautiful and fascinating piece music, which explores and probes uncharted territory, as music always should. This is definitely something ambitious music livers should enjoy immensely and as such is wholeheartedly recommended! 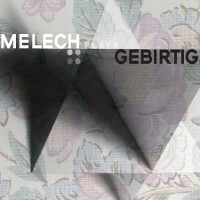 This is the debut album by Polish Free Jazz/Avant-Garde quartet Melech, which comprises of clarinetist/composer Piotr Mełech, trumpeter Marcin Steczkowski, bassist Marcin Jadach and drummer Michał Kasperek. The album presents six pieces, five of which were composed by the Polish/Jewish poet/songwriter Mordechai Gebirtig and one is an original composition credited to all four members of the quartet. The album continues the interest in Jewish music by the Polish Jazz Avant-Garde, which is one of the most fascinating developments on the local scene since the turn of the Millennium. A whole "New Jewish Music" scene developed in Poland, exploring the treasures of Jewish Music and creating contemporary Jewish Music, despite the fact that there are almost no members of the Jewish community left in Poland at the moment. Gebirtig's legacy is one of the most re-visited, which is no surprise considering the wealth, depth and strength of his creations. Some of the treatments of his songs in the past suffered from too many liberties, but this album is a wonderful example of just the right way to respect the original music and take it forward to contemporary avant-garde. The quartet manages to preserve the spirit of the music in spite of the radically changed musical environment and the individual contributions by the quartet members fit the transposed sounds ideally. Melech states the original melodies almost faithfully, before those are picked up by the rest of the band and transformed, stretched and re-composed in Free Form. The rhythm section is elevated to a full membership within the quartet, adding its invaluable contributions. I wonder what would Gebirtig say to these transformations, but considering his progressive intellectualism, he would probably embrace them wholeheartedly. Overall this album is a wonderful example of preservation by modernization, where Culture is brought forward to contemporary recipients in form and shape that bridge over time barriers. It manages to stand by itself both as a contemporary work of art and as a tribute to the past. Thanks to the talent of the musicians involved and their respect towards the source of this music, their goal was achieved in full. 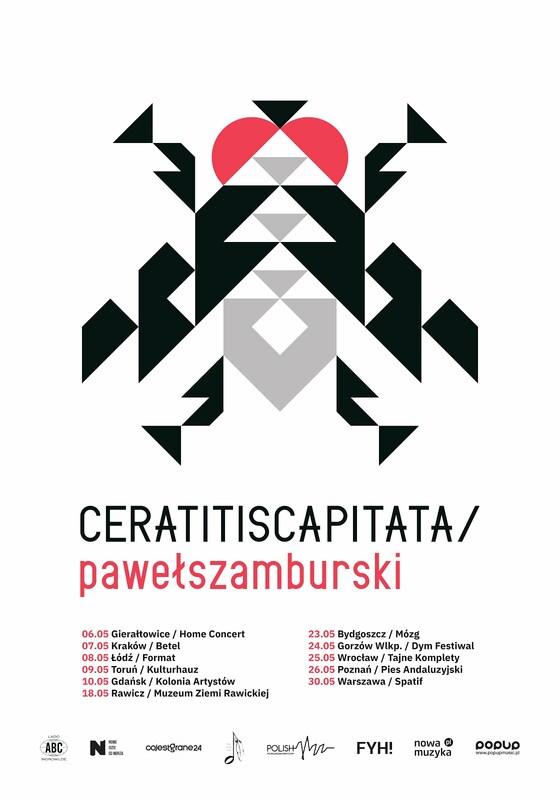 This is definitely one of the most successful tributes to Gebirtig's legacy done within the Polish Jazz Avant-Garde. Wholeheartedly recommended! 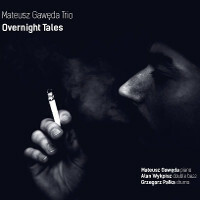 This is the debut album as a leader by young Polish Jazz pianist/composer Mateusz Gawęda, recorded in a classic piano trio format with bassist Alan Wykpisz and drummer Grzegorz Pałka. The album presents six original compositions, all by Gawęda. Gawęda's arrival on the Polish Jazz scene created a lot of buzz and genuine interest, not only due to his flamboyant expressionism, but primarily as a result of his obvious talent and fresh, innovative input to the Jazz idiom, easily noticeable even on the dense and competitive local scene, which is bursting with talent. I had several opportunities to watch him performing in the last couple of years and my immediate reaction was always full of genuine appreciation. 2016 proved to be a breakthrough year for Gawęda, with several excellent albums with his participation being released, including this debut wrapping up the proceedings of an extremely busy year. As all great Jazz musicians, Gawęda is first and foremost unique in his approach to composition and the instrument. Surprisingly the music on this album is the most "conventional" performance by Gawęda that I have heard so far, which is a great revelation. There is very little of the avant-garde experimentation, which his live performances usually emphasize. That does not mean of course that the music is "conventional" in any sense. In fact it is anything but conventional. Based on beautiful melodic themes, the extended pieces allow the pianist to venture far away from the basic melody and explore uncharted territory. Not Free Jazz per se, the music incorporates a large degree of space and freedom, which allows for tempo changes and intense climaxes within the duration of each of the tunes. There is a wonderful natural flow, which keeps the music moving forward, seemingly effortlessly in spite of its complexity and dramatic mood swings. The rhythm section is perfectly cooperative with the leader, staying respectfully in the background in order not to collide with the delicate piano sound, but filling the spaces, both harmonically and rhythmically, just in the right spots. Wykpisz is steadily earning a position of a leading bass player on the Polish scene in the last few years and the young Pałka is still earning his dues. Both of them do a great job here and Gawęda made the right choice to have them on the album. It will take several listening sessions, even for the more experienced listeners, to fully appreciate this album. This music, like good wine, takes time to mature and settle in, best explored at ease and in perfect concentration. Since Gawęda is surely going to emerge as one of the major players on the Polish Jazz scene in the years to come, fans and lovers of Polish Jazz should give this album the time and the respect it truly deserves. This is definitely a very impressive debut, which hints as to the gift Gawęda is blessed with. Perhaps decades from now people will remember it as a classic, which introduced Gawęda to the world? Definitely one of the most important Polish Jazz releases in 2016. Respect! Pamiętam bardzo dobrze poprzednią płytę Radka Wośki. "Contouring", inspirowany pobytem na polskich pojezierzach, epatował nastrojem tajemniczości i grozy. Tym razem miejscem, gdzie spotkały się najświeższe inspiracje perkusisty, okazał się środek Oceanu Atlantyckiego. Akwen zdecydowanie większy, aczkolwiek sądząc z nastroju płyty, przystępniejszy i łagodniejszy. "Atlantic" jest bowiem zbiorem utworów zdecydowanie mainstreamowych. Nagrania, które przez otchłań tytułowego oceanu niosą słuchacza w podróż nieoczekiwaną, lecz niezwykle przyjemną, niczym rejs wysokiej klasy jachtem z rodzaju tych, jakimi pływać raczy brytyjska królowa. Melodyjne kompozycje autorstwa lidera kwartetu, uzupełnione seifertowskim "Man Of The Light", od pierwszych taktów zajmują uwagę i często powodują mniej lub bardziej mimowolny odruch nucenia głównego tematu. "Amager", "East River", "Longing", "Summer Session" - niemal każdy z utworów zachwyca i przywołuje na twarzy szeroki uśmiech zadowolenia. Ewentualnym malkontentom pragnę powiedzieć, że nie oznacza to, iż mamy do czynienia z jakąś balladową, mainstreamową plumkaniną. Po pierwsze, chyba żadnego z nagrań nie da się określić mianem ballady. Po drugie, kwartet Wośki potrafi zaskoczyć w trakcie utworu nieoczekiwaną woltą, oryginalnym solo, ciekawym przełamaniem, bez zbytniego oddalania się przy tym od przyjętej konwencji. Duża w tym zasługa zaproszonych instrumentalistów. Pierwszy plan należy do Gilada Hekselmana, izraelskiego gitarzysty, mieszkającego od kilkunastu lat w Nowym Jorku. Muzyka, który może pochwalić się współpracą między innymi z Chrisem Potterem, Markiem Turnerem, Johnem Scofieldem, Jeffem Ballardem czy Aaronem Parksem. Gitary jest na płycie Wośki dużo, ten instrument dominuje, ale trudno uznać to za wadę. Sposób i jakość gry Hekselmana zdecydowanie bowiem na to zasługuje. Świetnie wypada także duński pianista Søren Gemmer - zarówno w solowych popisach, jak i w konwersacjach z gitarą. Miałem możliwość słuchania tego kwartetu na żywo, kiedy Gemmer dysponował instrumentem elektronicznym i muszę przyznać, że było to co najmniej równie dobre, jak jego fortepianowa obecność w nagraniach studyjnych. Skład kwartetu uzupełnia, współpracujący już wcześniej kilkakrotnie z Wośką, basista Mariusz Praśniewski. Perkusja i bas, które dają rytmiczny podkład Hekselmanowi i Gemmerowi, wypuszczają się na indywidualne prezentacje z rzadka, acz za każdym razem niezwykle smakowicie - jak w "Deep Forest" czy kapitalnej końcówce "Freebop Bloose". Wreszcie docieramy do dedykowanemu Tomaszowi Stańce utworu "Sad Eyes", który zamyka płytę. Nagrania zupełnie innego od reszty. Nie wiem, czy nie najlepszego. Bliższego poprzedniej płycie niż siedmiu pozostałym nagraniom z "Atlantic". Idącego momentami w kierunku muzyki mocno improwizowanej, kto wie, może będącego zapowiedzią zupełnie innej podróży z tym kwartetem. Mam nadzieję, że taka wyprawa dojdzie kiedyś do skutku, a w oczekiwaniu na nią warto powracać do już dostępnych, opisanych tu atlantyckich wojaży. This is the fifth album as a leader by the Polish Jazz vibraphonist/composer Dominik Bukowski, one of the most respected and prolific figures on the Polish Jazz scene. The album was recorded live in a quartet setting, with American trumpeter Amir ElSaffar, Polish bassist Adam Żuchowski and drummer Patryk Dobosz. Together they perform eight tunes (one split into two parts), five of which are arrangements of traditional melodies and three are original compositions by Bukowski. The music is a Jazz-World Fusion project, which amalgamates the Folklore roots of Polish and Middle Eastern music, or more specifically the Arabic maqam system, which lately has been discovered by many Jazz improvisers all over the world. The maqam is remarkably open system and as such an ideal basis for improvisation, which is clearly demonstrated on this album. Both the traditional pieces and the original compositions get a similar treatment, which creates a remarkable coherency and consistency, which this album manages to uphold for its entire duration. The involvement of ElSaffar is of course the decisive factor, which makes this album tick. His knowledge of Arabic musical forms makes him an ideal partner side by side with Bukowski, who after all is originally rooted in different musical environment. Without him this project might have proven to be too ambitious for the Polish musicians working on their own. Of course ElSaffar's virtuosic trumpet performances based in the Jazz idiom are another strong virtue of this project. His santur solos are also some of the highlights of the album. Bukowski wisely lets ElSaffar to take upon himself most of the soloing and in general the leading of the music, as he is the bridge between the two worlds. Bukowski and the rhythm section take a step back and play along the trumpeter, contributing amicable support, both harmonically and rhythmically, which is especially impressive considering how difficult the odd and irregular Arabic rhythms usually are for people living outside the region. Żuchowski and Dobosz wisely take the rhythmic level of the music into a free form and less regular rhythmic environment, skillfully avoiding the traps of the tricky Arabic patterns as such. Their contributions are excellent all the way through and truly admirable. Bukowski, as usual, contributes some superb vibraphone vistas, somewhat subdued and modest, but always elegant and highly aesthetical. His original compositions fit the concept of the album ideally and the vibraphone/trumpet collaboration is tasteful and unique. This album, diametrically different from the other projects he is involved in, proves his diversity and open-mindedness. Overall this is definitely one of the most interesting Jazz-World Fusion albums recorded by Polish Jazz musicians in a long time and deserves all the compliments bestowed upon it already, which I fully support. Bukowski has been a sure "bet" ever since he arrived on the scene and this album places him also in the "full of surprises" category, which is pretty rare. Hats off, Dominik! This is second Christmas album I am writing about this year, which is highly unusual, as I mostly keep away from Christmas albums as far as I can, not that I have anything against Christmas per se, but because Christmas albums are usually pretty atrocious musically. However, for the second time it turns out that Christmas albums can be artistic and musically fulfilling. Polish Jazz vocalist Nika Lubowicz, a member of the famed Lubowicz clan, gathered her two brothers: violinist Dawid Lubowicz and keyboardist Jakub Lubowicz, her husband accordionist Sebastian Zając, bassist Marcin Murawski, drummer Krzysztof Szmańda and a couple of guests, and together they perform ten Christmas Carols, six of which were composed by Nika's father Stanisław Lubowicz, one by Wacław Geiger and three are traditional Carols newly arranged for this album. The music carries the Christmas spirit, as expected, but it is also rich in wonderful arrangements, some more Jazz oriented and others less so, and of course features Nika's lovely vocals, which are always a pleasure to listen to. Everything is kept in relaxed, almost blessed atmosphere, with the music and instrumental passages working perfectly together to create a coherent, highly aesthetic message. The music also includes some Folklore elements, related to the Polish Highlanders, who live near the southern border of the country in the Tatra Mountains and the town of Zakopane, which of course is Nika's home ground. Overall this is a gorgeous, moving album, which although Christmas oriented, is perfectly listenable any day of the year, and which emphasizes the diversity and beauty of the Polish Culture. Kolejny album z katalogu Fundacji Kaisera Söze sygnowany jest nazwiskami czterech muzyków (Dokalski, Cieślak, Miarczyński, Steinbrich), którzy w trakcie kilku improwizowanych sesji sprokurowali ten wielce obiecujący kawał free jazzu. Pierwszego z wymienionych nie trzeba przedstawiać, warto jedynie z perspektywy opisywanej płyty zaznaczyć, że jest on autorem tematów, które stały się punktem wyjścia do kolektywnej improwizacji. Tadeusz Cieślak to świeża krew lubelskiej sceny impro, współtworzący projekt Cząstki Elementarne, do którego należy również Jacek Steinbrich. Tym czwartym jest zaś wrocławski perkusista Jakub Miarczyński. Z całego zestawu niewątpliwie Dokalski swoim doświadczeniem scenicznym i rozpoznawalnością przyćmiewa pozostałych partnerów, jeśli jednak sięgniemy po płytę, raptem przekonamy się, że wcale nie on jest na niej postacią wiodącą. Na pierwszym planie stoi bowiem kolektyw i to na jego znakomitym funkcjonowaniu oparty jest artystyczny sukces nagrania. Krążek otwiera prawdziwe free jazzowe mięcho. Od pierwszych taktów stajemy oko w oko z czterogłowym potworem ziejącym płomieniem zbiorowej improwizacjii, przywołującej w myślach rozgorączkowane aylerowskie kanonady ze "Spiritual Unity" czy "The Copenhagen Tapes". Jest gęsto i intensywnie. Jednak jeszcze zanim na dobre zasmakujemy w kompozycjach kolektywu, pierwszym wrażeniem, które uderza słuchacza, jest brzmienie. Niesłychanie wyraziste, wręcz aseptyczne, wypiętrzone w górne rejestry tonalne. Uwydatnione płaskim pogłosem wydobywa z instrumentów ich metaliczną fakturę, eksponując dźwięki o niebywałej wręcz ostrości. Ta akustyczna intensywność potęguje wrażenia, jakie wywołują zwłaszcza sonorystyczne fragmenty nagrania (z "Miejskim dyskursem" na czele). Intensywne przedęcia trąbki i saksofonów oraz towarzyszące im preparacje perkusji swą wyrazistością dorównują solowym dokonaniom Adama Gołębiewskiego, eksperymentującego z estetyką akustycznego noise'u. Obok ekstremalnych brzmieniowo eksperymentów i porywistego impro istotne miejsce w muzyce kwartetu zajmuje wątek melodyczny. Inicjuje go Dokalski, wprowadzając do repertuaru szkice zamyślonych, snutych przydymioną trąbką ilustracji. Przewija się w nich zarówno melancholia "Mirza Tarak" ("Lament"), jak i iście filmowe tematy zaznaczone stłumioną frazą dęciaka (również "Miejski dyskurs") i solowym śladem wspaniale dudniącego kontrabasu. W zestawie proponowanym przez formację znalazła się także chwila na puszczenia oka w stronę szerszej publiczności. Dzieje się tak wv"Porannym chodniku", który ze swym regularnym pulsem i swingowaniem Dokalskiego mógłby znaleźć się w repertuarze jego macierzystej formacji kIRk. Nagraniem rządzi młodzieńcza witalność, brak jazzowego zmanierowania, rozmach, swoboda, ale i świetne wyczucie artystów oraz wewnętrzna dyscyplina, nie pozwalająca ani na chwilę osiąść na muzycznej mieliźnie. W grze kwartetu nie chodzi wcale o ekstremalne doznania czy wyścigi instrumentalistów na spektakularne solówki. Główną zaletą jest elastyczność w poruszaniu się między różnymi elementami artykulacji i łączenie jej w dynamiczną, a jednocześnie spójną narrację. To prawdziwa radość dla słuchacza, móc obcować z tak entuzjastyczną energią emanującą z muzyki kwartetu. Liczę, że to dopiero początek współpracy Dokalskiego, Cieślaka, Miarczyńskiego i Steinbricha. Jestem również przekonany, że lada chwila ta mniej dotąd znana trójka instrumentalistów stanie się, jak Dokalski, pierwszoplanowymi postaciami rodzimej sceny improwizowanej. This is the twenty-seventh installment in the series of releases initiated by the Polish Radio, which presents archive Jazz recordings from the radio vaults. Radio recordings are always a fabulous source of remarkable material, and as far as Polish Jazz history is concerned, the Polish Radio, which was a state monopoly for 45 years, recorded over time a plethora of invaluable material, which apart from the albums released by the Polskie Nagrania record company (also a state monopoly), is the only available additional source of Polish Jazz recordings. For many years Polish Radio recorded concerts presented during Poland's most important Jazz venues, including the annual Jazz Jamboree Festival and many other festivals as well. The tracks presented here were recorded live in December 1965 during the eighth Jazz Jamboree Festival in Warsaw and are the second volume of a collection of tracks from that event. The first two tracks present a trio led by one of the Godfathers of modern European Jazz, the German pianist/composer Joachim Kuhn with bassist Klaus Koch and drummer Reinhard Schwartz. They perform two original compositions by Kuhn and the performance is one of the earliest examples of European Free Jazz. Kuhn's performance here is absolutely stunning as everything he played at the time, before he moved from East German to West Germany. The fact that his Free Jazz playing was tolerated by the GDR regime is a fascinating story by itself. More details about his activity around the time this music was recorded can be found in the review of the Zbigniew Namysłowski's album "Live At Kosmos, Berlin", which was recorded just a month earlier. The next four tracks present a quintet led by another Godfather of modern European Jazz, the German trombonist/composer Albert Mangelsdorff with saxophonists Gunter Kronberg and Heinz Sauer, bassist Gunter Lentz and drummer Ralf Hubner. They perform three original compositions by Mangelsdorff and one composition by the British trumpeter/composer Ian Carr, a great pioneer of modern British Jazz. Although the music performed by the Albert Mangelsdorff quintet is not as Free Jazz oriented as that by Joachim Kuhn, it is a superb of early modern European Jazz, which was already emancipated from the American Jazz influence and clearly showed the new direction being created in Europe. Both these performances show the importance of German musicians as co-creators of early European Jazz. The last track present a sextet led by yet another Godfather of modern European Jazz, the Polish Jazz pianist/composer Andrzej Trzaskowski with American trumpeter Ted Curson (who was living in Europe at the time), saxophonists Janusz Muniak and Włodzimierz Nahorny, bassist Jacek Ostaszewski and drummer Adam Jędrzejowski. They perform one extended original composition by Trzaskowski. The music is again a stunning example of early modern European Jazz and a great precursor of the explosion of the Polish Jazz scene, which was happening at the time. This is the twenty-sixth installment in the series of releases initiated by the Polish Radio, which presents archive Jazz recordings from the radio vaults. 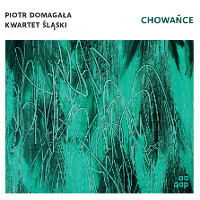 Radio recordings are always a fabulous source of remarkable material, and as far as Polish Jazz history is concerned, the Polish Radio, which was a state monopoly for 45 years, recorded over time a plethora of invaluable material, which apart from the albums released by the Polskie Nagrania record company (also a state monopoly), is the only available additional source of Polish Jazz recordings. For many years Polish Radio recorded concerts presented during Poland's most important Jazz venues, including the annual Jazz Jamboree Festival and many other festivals as well. 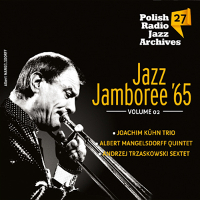 The tracks presented here were recorded live in December 1965 during the eighth Jazz Jamboree Festival in Warsaw and are the first volume of a collection of tracks from that event. The first five tracks present the great British vocalist Annie Ross, who revolutionized the vocal Jazz idiom as a member of the legendary trio Lambert, Hendricks & Ross, which she left in late 1962 to start her solo career. She is accompanied by a trio consisting of Polish pianist Wojciech Karolak, bassist Juliusz Sandecki and Swedish drummer Rune Carlsson. All the songs are Jazz standards. The next four tracks present the great Polish vocal ensemble NOVI Singers in their earliest incarnation as a quintet, which includes in addition to their leader Bernard Kawka also Ewa Wanat, Janusz Mych, Waldemar Parzyński and Aleksander Głuch, who left the ensemble before they recorded their debut album "Bossa Nova" in 1967. NOVI Singers modeled their vocal style on earlier vocal Jazz ensembles like Lambert, Hendricks & Ross, and their tracks appearing immediately following the Ross's tracks is symbolic. NOVI are accompanied by pianist Adam Matyszkowicz (Adam Makowicz), bassist Janusz Kozłowski and drummer Czesław Bartkowski. All the tracks are vocal arrangements of Jazz standards. The next three tracks present a quartet led by legendary Polish Jazz pianist/trombonist/composer Andrzej Kurylewicz with guitarist Janusz Sidorenko, bassist Roman Dyląg and drummer Jerzy Bartz. The rare appearance of Kurylewicz playing the trombone is one of the highlights of this album. They perform a couple of adaptations, one of a classical piece by Polish composer Stanisław Moniuszko and the other of a folk tune and finally one original composition by Kurylewicz. 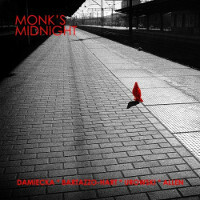 The last two tracks present a quartet led by legendary Polish Jazz saxophonist/composer Jan Ptaszyn Wróblewski with pianist Wojciech Karolak, bassist Juliusz Sandecki (here misspelled as Janusz), and drummer Andrzej Dąbrowski. They perform on original composition by Wróblewski and an extended version of a Miles Davis classic. This is the debut album by young Polish Jazz violinist Mateusz Pliniewicz, recorded in a quartet setting with keyboardist Nikola Kolodziejczyk, bassist Marcin Jadach and drummer Szymon Madej. The album was recorded live in the Polish Radio Lutosławski Studio (in Warsaw) and presents eleven original compositions, seven of which were composed by Pliniewicz, two were co-composed by all four quartet members, and one each was composed by Jadach and Kołodziejczyk. The music is not focused stylistically and moves between melodic mainstream pieces and more adventurous/atmospheric vistas, but is overall quite original and interesting. The strongest compositions are soaked in the typical Polish melancholy, which is a trademark of Polish Jazz since many years. The music develops very slowly and sometimes sounds a bit hesitant, but eventually the beauty of the melodies wins the listener over, even if he has to wait for it for a long while. Pliniewicz plays beautifully and movingly, somewhat "old fashioned" like early Jean-Luc Ponty, but with great charm and feeling. Kołodziejczyk supports the violin amicably and plays several well built solos. His acoustic piano playing is perfectly compatible with the overall atmosphere of the music, but his synthesizer parts sound somewhat out of place. The rhythm section does a good job pushing the music forward and setting the rhythmic layer behind the acoustic sound of the violin and piano, without dominating it. Jadach plays several interesting bass parts and is certainly worth following. Madej, who plays the drums also for another great young Polish Jazz violinist Bartosz Dworak, is perfectly at home in this setting. Overall this is a very impressive debut, which brings to light another hero of the Polish Jazz violin, which in turn seems to enjoy a great renaissance lately. I am looking forward to the first "proper" studio album, which hopefully will fulfill all the hopes this album manages to raise. Well done! This is the seventh album as leader by Polish Jazz trumpeter/composer Jerzy Małek, recorded in a quintet setting with keyboardist Dominik Kisiel, guitarist Krzysztof Łochowicz, bassist Andrzej Święs and drummer Sławomir Koryzno. Saxophonist Maciej Kądziela guests on one track. Together they perform seven original compositions, all by Małek. The music is typical melodic mainstream Jazz, full of distinctive Polish Jazz characteristics, like melancholic ballads, Slavic folkloristic harmonies and the overall atmosphere of poignancy, even on the up-tempo numbers. All the seven originals are solid compositions, elegant, well structured and aesthetically pleasing, especially so the ballads, which seem to be Małek's forte. The execution is also top notch, with evident class and talent displayed by the musicians involved. 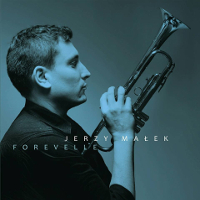 Małek is an excellent trumpeter, with steady clear tone and brilliant phrasing, and his playing is a great example of the classic approach to Jazz trumpet, which is sadly not very appreciated these days. Kisiel plays beautiful piano lines both on the acoustic and electric instruments, contributing several nice solos and supporting the leader amicably. Łochowicz is a mystery as I could only hear him on one tune and there he was so back in the mix that he was totally lost. Święs, a veteran and brilliant bassist, is one of the top Polish players and every recording featuring his talents is already ahead just by his presence. Koryzno plays also very well, supporting the steady rhythmic patterns with confidence and skill, staying respectfully in the background. Overall this is a classic mainstream album, which features superb tunes and excellent execution, which should make every Jazz connoisseur in the world happy. There is no innovation or groundbreaking here, but not every Jazz album has to be about these elements. Playing solid, excellent mainstream Jazz like the one here is still Art. Wrzesień tego roku przyniósł niespodziankę w postaci nowego tytułu kultowej serii wydawniczej Polish Jazz. Jako numer 77 ukazała się płyta kwintetu Zbigniewa Namysłowskiego "Polish Jazz-Yes! ", a jej premiera miała miejsce dokładnie w dniu 77 urodzin muzyka. Znakomitemu saksofoniście towarzyszą: Jacek Namysłowski na puzonie, Sławek Jaskułke na fortepianie, Grzegorz Grzyb na perkusji oraz basiści Paweł Puszczało i Andrzej Święs, którzy podzielili się udziałem w nagraniach mniej więcej po połowie. Dziewięć nowych utworów autorstwa lidera zespołu odwołuje się w znacznej większości do ludowych źródeł, przede wszystkim do folkloru góralskiego. To oczywiście nie pierwszy taki przypadek w twórczości Namysłowskiego. Już wcześniej mogliśmy przecież znaleźć w karierze tego wybitnego artysty niezwykle udane podobne odniesienia czy też kooperacje koncertowe i płytowe z twórcami ludowymi. Trzeba przyznać, że kompozycje zaskakują bogactwem pomysłów i rozwiązań. Każda dostarcza moc wrażeń, począwszy już od samych zagadkowych i wieloznacznych tytułów. Najciekawiej dla mnie wypadły "Chór z gór" z pulsującym basem i świetnym solem fortepianu oraz "Abra-besqua" z orientalnymi nawiązaniami. W pamięć zapada również "Nie O’krzesany", w którym następujące po sobie solówki poszczególnych instrumentów, a także cały utwór, puentowane są zabawnym zakończeniem. Wreszcie bardzo oryginalnie zabrzmiał kończący płytę "Jako tako", a uwagę przykuwa zwłaszcza góralski zaśpiew saksofonu i puzonu na początku utworu. Z muzyków – obok samego lidera – wypada wyróżnić Jacka Namysłowskiego oraz Sławka Jaskułke, którego już dawno nie słyszałem w tak wybornej formie. Tradycyjnie seria przyciąga edytorską starannością i bogatymi materiałami dodatkowymi. "Polish Jazz-Yes!" zawiera dwa obszerne teksty towarzyszące: wywiad ze Zbigniewem Namysłowskim przeprowadzony przez Jerzego Szczerbakowa oraz esej o płycie autorstwa Tomasza Szachowskiego. Mam nadzieję, że ta niezwykle udana reaktywacja legendarnej serii jest zapowiedzią i początkiem jej kontynuacji. 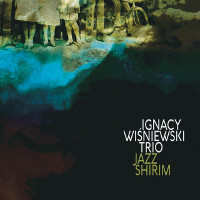 This is the debut album as a leader by young Polish Jazz pianist/composer Ignacy Wiśniewski, recorded in a trio format with bassist Adam Żuchowski and drummer Paweł Osicki. The album presents seven original compositions, all by Wiśniewski, that were originally created for a theatre production about the Jewish Community in Gdansk before and during the WWII. The Hebrew word "shirim" means songs. The music is an ambitious amalgam of melodic modern mainstream and free form improvisation. The pieces start with a clearly stated melody, followed by much less restrained improvisations, which are also very diverse rhythmically. The compositions are therefore just frameworks that are filled up by the improvised parts. This is definitely a very unusual and bold musical statement, which is also quite listenable in spite of its complexity and sincerity. The trio performs as a very tight unit, responding attentively to each other and complementing each other's statements. Although there is a lot of space and freedom in this music, the trio members are closely coupled at all times, which produces a wonderful effect of group cohesiveness. Sometimes music created for theatre or cinema has no independent existence, but this music definitely holds the floor on its own, being completely relevant in its minimal form, which of course speaks greatly of its qualities. It does not make any artistic compromises or attempts to be more acceptable and it manages to fascinate and create a lot of tension for the attentive listener, which happens relatively rarely. Overall this is a very impressive debut, and although the music was recorded a while ago, it's good to see it finally released, as it certainly deserves to be heard. Serious Jazz connoisseurs should enjoy this music in full. Wholeheartedly recommended! 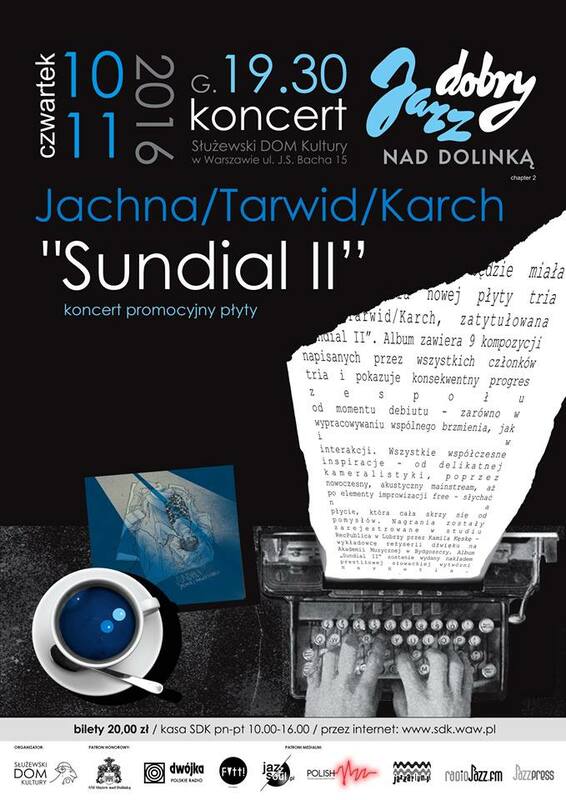 Zaledwie nieco ponad miesiąc po premierze "Sundial II", czyli drugiej płyty długogrającej w dorobku tria Jachna/Tarwid/Karch, miałem okazję skonfrontować wrażenia związane z odsłuchem albumu z tym, co grupa ma do zaprezentowania na żywo. Byłem ciekaw, czy muzyka zabrzmi podobnie jak na zarejestrowanych dotychczas wydawnictwach, czy też może będzie rozwinięciem tej i tak już bardzo ciekawej artystycznej idei swobodnej jazzowej kameralistyki. Jak to jednak często w życiu bywa, rzeczywistość okazała się nieco bardziej złożona, a zarazem niezwykle interesująca. Zanim jednak przystąpię do zrelacjonowania tych frapujących wydarzeń, w kilku słowach przedstawię okoliczności związane z samym koncertem. Trębacz Wojciech Jachna, pianista Grzegorz Tarwid oraz perkusista Albert Karch zawitali ze swoim świeżym materiałem do Służewskiego Domu Kultury w Warszawie. Miejsce to z pewnością pomogło w pełni wybrzmieć muzyce zaprezentowanej przez trio tego listopadowego wieczora. Nowoczesne wnętrza oraz usytuowanie obiektu w pobliżu lubianego przez mieszkańców Mokotowa i Ursynowa Potoku Służewieckiego, umożliwiły pełniejszy odbiór przekazu autorów "Sundial II". Nie zabrakło też rozluźniającego elementu humorystycznego. Jeszcze chwilę przed koncertem okazało się, że pierwsze trzy rzędy są zarezerwowane dla... członków tamtejszej spółdzielni. Informowały o tym karteczki pozostawione na krzesłach. Zwykli słuchacze, jak np. niżej podpisany, musieli się zadowolić miejscami w dalszych rzędach. Bareizmy wiecznie żywe - podszedłem więc do całej sytuacji z przymróżeniem oka. Żarty żartami, najważniejsze jednak, że warunki do wysłuchania muzyki były bardzo dobre. Co prawda nie wiem, jak to wyglądało z perspektywy sceny, ale również i artyści zdawali się być w pełni skoncentrowani na tym, co ma się wydarzyć za chwilę. A działo się naprawdę dużo. Dowodem tego stanu rzeczy jest fakt, że trio zaprezentowało zarówno nagrania z debiutanckiej płyty, jak i premierowy materiał. Muzycy podeszli jednak do tematów z otwartymi głowami i zamiast kurczowo trzymać się obranej stylistyki i konceptu, pozwalali sobie na więcej. Szczególnie brylowali tutaj Albert Karch i Grzegorz Tarwid, którzy pomimo młodego wieku, nie tylko pokazali ogromne umiejętności, ale też zaprezentowali się jako w pełni ukształtowani artyści. O ile w grze pianisty i perkusisty była pewna doza szaleństwa i ekwilibrystyki, o tyle Wojciech Jachna zdawał się być tą postacią, która wyznacza kierunek działania całego zespołu. Spełniał funkcję spoiwa, był bardziej powściągliwy od kolegów, ale w partiach solowych również wychodził poza wypracowane motywy. 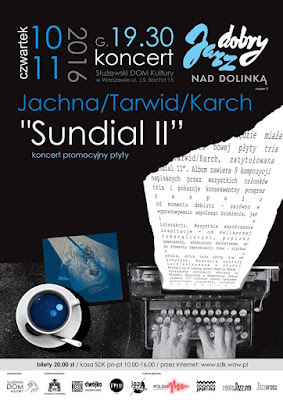 Koncert tria Jachna/Tarwid/Karch z pewnością mógł się podobać. Muzyka była bardziej dynamiczna od tego, co znamy z płyt, choć też znowu nie tak bardzo odległa od studyjnego konceptu. Był to zatem jazz swobodny, ale też i melodyjny. Coś dla fanów swobodnej kameralistyki, która z każdą niemal minutą nabierała nowego kolorytu i takiego też znaczenia. Sądząc po reakcjach widowni, pomysł artystyczny formacji przypadł do gustu także i postronnym słuchaczom. A tych, jak się okazało w trakcie konferansjerki poprzedzającej koncert, była większość. Skoro zatem okoliczni mieszkańcy docenili występ autorów "Sundial II", tym większe słowa uznania należą się bohaterom tego listopadowego wieczoru. This is a live album recorded at the Polish Radio Studio Three by Polish Jazz guitarist/composer Marek Napiórkowski. The recording captures Napiórkowski in a sextet setting with some of the absolute top Polish Jazz payers: saxophonists Adam Pierończyk and Henryk Miśkiewicz (who also plays on bass clarinet), pianist Krzysztof Herdzin (who also plays flute), bassist Robert Kubiszyn and drummer Paweł Dobrowolski. They perform six original compositions, all by Napiórkowski. 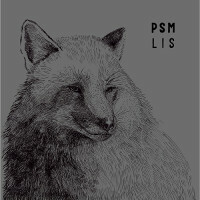 The music is a superb example of modern mainstream Jazz, which combines excellent compositions with perfect execution. 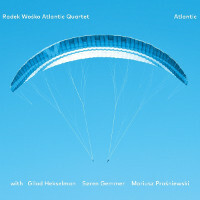 Based on beautiful and masterly woven melodic themes, full of romanticism, melancholy and typical Polish mystery, the tunes presented here have been masterly arranged for the sextet by Herdzin, who is celebrated for his ability to create wonderful sonic structures, which are elaborate and highly sophisticated but sound remarkably pleasing. The lineup selected by Napiórkowski ensured a truly marvelous performance, with all the musicians involved having plenty of opportunity to play extended and expressive solos. The leader delivers his usual, slightly Fusion oriented strings of pearls on his electric guitar, which are, as always, dazzling. He also uses the acoustic guitar no less effectively. The saxophonists have plenty of opportunities to play heartwarming solos, the bass clarinet and flute provide nice atmospheric layers, the piano keeps the harmony together and leads the way and the excellent rhythm section takes care of the pulse, always perfectly on time. However, the individual performances are only pieces of the puzzle, which, when combined together, creates a much stronger and more satisfying whole. This is one of the best mainstream Jazz ensemble albums I came across lately, which proves that mainstream Jazz can be fulfilling and sophisticated, if talented and dedicated musicians are involved. The arrangements and the team work present here are a classic example of contemporary mainstream Jazz perfection. As if all this wasn't enough, the album is also beautifully recorded and considering the fact that this is a live recording, the quality is even more remarkable. Overall this is a superb modern mainstream album, which offers beautiful compositions and perfect execution, and which should satisfy even the sternest connoisseurs and bring joy to all true Jazz lovers. Hats off! 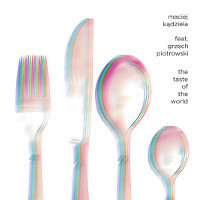 This is the second album by young Polish Jazz saxophonist Maciej Kądziela, recorded in a quartet setting with pianist Artur Tuźnik and Swedish rhythm section: bassist Johannes Vaht and drummer Olle Dernevik. Polish saxophonist Grzegorz Piotrowski guests on two tracks. The quartet was formed in Copenhagen, where these musicians studied together at the local Music Academy and summarizes Kądziela's experiences during his stay in Denmark. 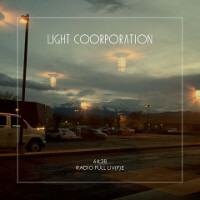 The album presents ten original compositions, all by the leader. The album immediately strikes the listener as a mature and serious offering, which presents Kądziela playing with remarkable fluidity and confidence, completely uncommon among Jazz musicians of his age group. The rest of the quartet members stand shoulder to shoulder with the leader, supporting him amicably and intelligently all the way through. Beautifully lyrical piano by Tuźnik, solid and virtuosic bass layer keeping the music on solid ground at all times by Vaht and explosive but always at the right measure percussive ornamentation by Dernevik are an excellent examples of what team work is all about. The music is typical modern European Jazz, dancing elegantly on the verge of mainstream melodic lines and free vistas, creating a wonderful tension and keeping the listener on edge throughout the entire duration of the album. The melodic layer tends to be filled with typical Polish melancholy, but the energetic performances by the musicians save it from being overtly lethargic. Some Scandinavian elements are also clearly audible, which of course makes perfect sense considering the quartet's lineup and common history. Some references to the compositions of Krzysztof Komeda and the playing of John Coltrane are inevitable, but those are subtle and Kądziela will soon find his very own original voice as a composer and saxophonist. Overall this is a most impressive album, full of wonderful playing, searching and experimenting, as appropriate for Jazz. Definitely one of the best Polish Jazz releases so far in 2016, and beyond. Hopefully more of such splendid music will follow suit in not too distant future. I can't wait already! Lubię odkrywać nowe rzeczy, dostawać coś niespodziewanego, nieoczekiwanego. Takie miłe zaskoczenia od samego początku serwowała mi płyta The Beat Freaks. Nowy zespół? W zasadzie tak. Kiedy jednak spojrzymy na współtworzących go muzyków, będziemy mieli pierwszą niespodziankę. Tomasza Licaka oraz Radka Wośkę znają i poważają fani jazzu, nie tylko w Polsce. Michała Starkiewicza i Pawła Grzesiuka także nietrudno skojarzyć - chociażby z koncertowych występów z artystami z najwyższej półki, choć nie zawsze z tej jazzowej. 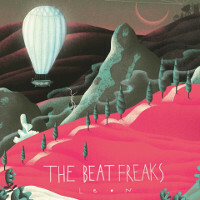 The Beat Freaks nie są więc składem anonimowym. Skąd natomiast wziął się "Leon"? Album miał być w założeniu hołdem oraz próbą ocalenia twórczości mitycznego barda czasów gwałtownej industrializacji Leona Kokakiewicza. Zafascynowanego maszynami innowatora i wizjonera. Postaci, o której nie poczytamy sobie w przepastnych zasobach internetu, choćby z tego powodu, że nikt taki nigdy nie istniał. Dziewięć chwytliwych kompozycji zepołu wyróżnia pierwszoplanowa rola saksofonu i klarnetu Tomasza Licaka, wspomaganego w solowych partiach gitarowymi popisami Michała Starkiewicza - inicjatora powstania projektu. Bas i perkusja nie pchają się na pierwszą linię, ale potrafią zaznaczyć swoją obecność. Chociażby w utworze „Solaris” kapitalnie poprowadzonym przez Radka Wośkę z solówką i fantastyczną zmianą rytmu w okolicach połowy utworu. Czy też w tanecznym "Pod nóżkę" z chwytliwym, rozkołysanym basem urozmaiconym dyskusją gitary i saksofonu. Uwagę przykuwają jeszcze spokojne, balladowe "Bright Eye" i "Ludowo", który po "ludowe" inspiracje sięga niekoniecznie w stronę naszych rodzimych okolic. Płyta niespodziewanie raczej lekka – niespodziewanie, bowiem duńskie doświadczenia połowy składu sugerowałyby raczej mocno improwizowany repertuar. Za to wymyślona i zagrana z dużą klasą. Zdecydowanie zachęcająca do sięgania po jazz. Mam nadzieję, że The Beat Freaks znajdą jeszcze kiedyś kolejne ślady działań Leona Kokakiewicza i podzielą się nimi ze światem.